So i got the new car on Sunday but it came open trailer from the dealer in Washington so it was filthy, and I finally got a chance to get it washed last night and snap some quick shots. First mods came today (some matte black kidney grills) from JLeviSW so I will try and get those put on and take some more pics. Nice touring! Love the tourings! especially in usa! looks amazng! nice and clean so whats the next mod? KW Var 3 are going to be the first mod .... If things go as planned I should be ordering them this week. I buy most of my parts from Jon over there as he worked with me on my 335i and always hooks up the best prices. I ordered them in the gun metal finish as I thought black is too much on this car and silver is too boring since I have all black trim on the car. 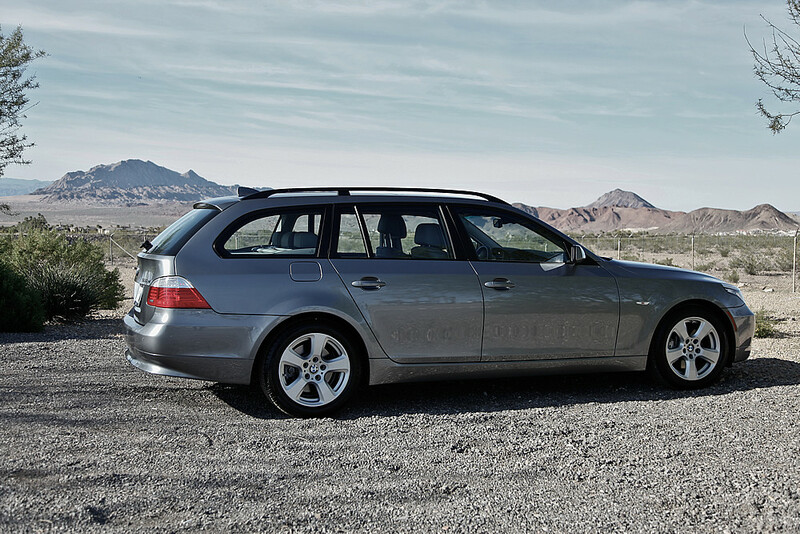 Here is what the wheels look like on a Avant so I think they will look good on my wagon as well. Once everything gets here and is installed Ill up the thread with pics. Test fit the wheels today .... rear needs spacers as I thought but the fronts look right on. They have about 1/2" of space on the inside till it hits the OEM strut, but no real space on the outside. The rears have over a inch more room in the inside and about 1/2" to the fender. So I think Ill throw some 15mm spacers on for now. last pic makes it look like it pokes more then it does, as you can tell by the pic prior to it. Came lurking from the 3 series section in hopes of finding a modded wagon. 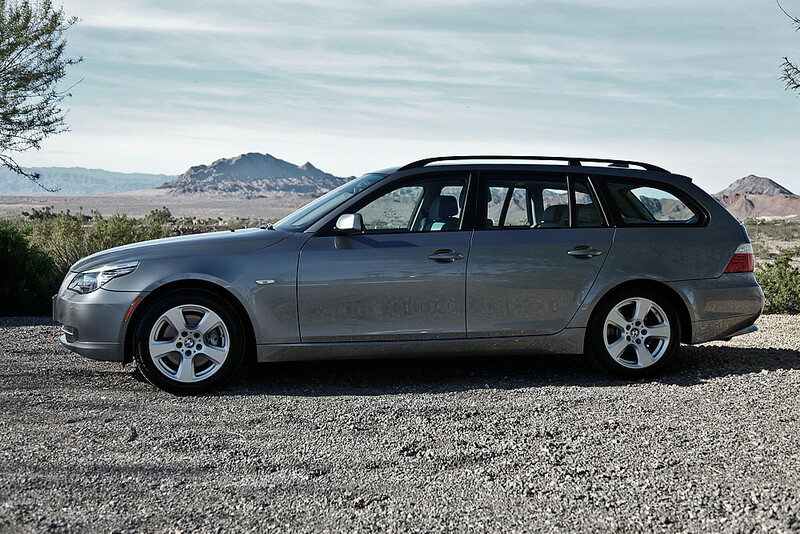 Looks great so far...wish the 3 series had a 335 wagon. What performance mods are you going to do? 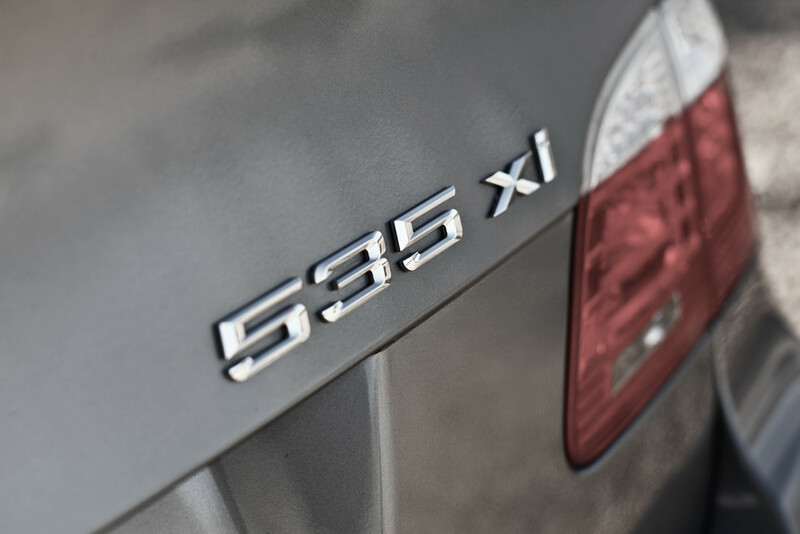 I hope they don't kill the 5 series wagon as I think this will be my next car. Going to subscribe to follow your progress. Thanks! .... 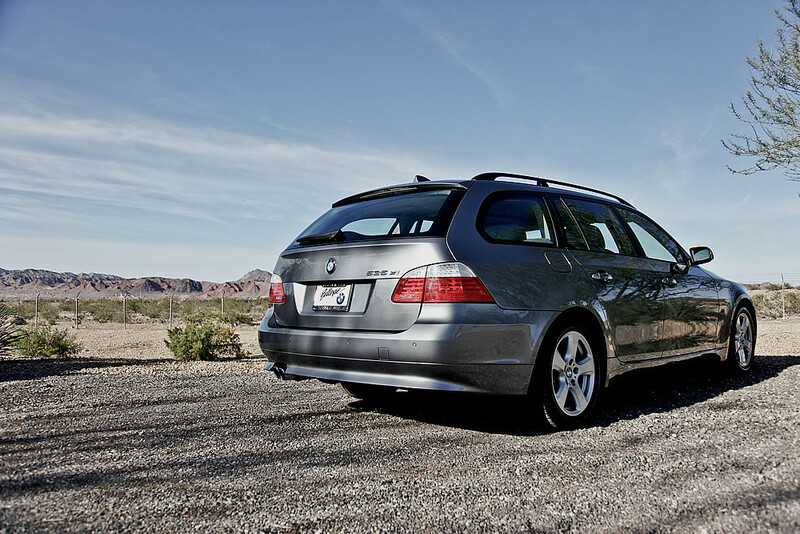 The sad thing is BMW already killed the Wagon stateside as thats why I ended up buying a E61 and not one of the new body style models. 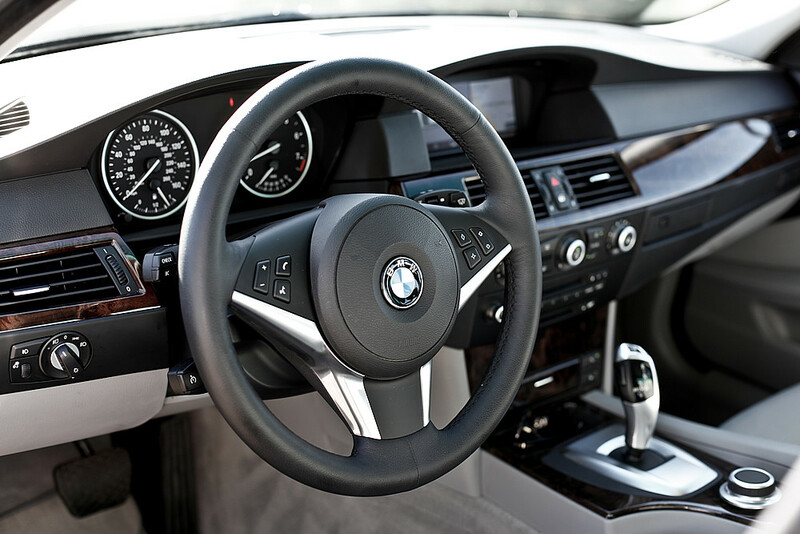 Yeah...right after I posted I went to BMW site to build a white with red leather E61 and noticed the E61 wasn't an option. Such a shame. What performance mods are you going to do? Now Im just waiting on the TPMS to come in and Im going to install the wheels, tires and suspension. Got the wheels and tires installed last night along with the KW Var3. I need to order different tires for the front wheels and move them on the back and mover the rears to the front as they are just too small. One pot hole and I'm screwed, and I have enough fender clearance to fit bigger tires under them. Also I think I can run a 5mm spacer in the front and rear over all, but Im going to wait till I get the M5 fenders on as im guessing I can use the 15mm spacer from the rear up front and then just buy a new 20mm spacer for the rear. Still need to do some touch up stuff today like add in the center caps, put some double stick tape on the lic plate frame so it doesnt stick up, and possibly adjust the height a little bit mroe. Beautiful! That's all I can say. You planning on replacing the front bumper? 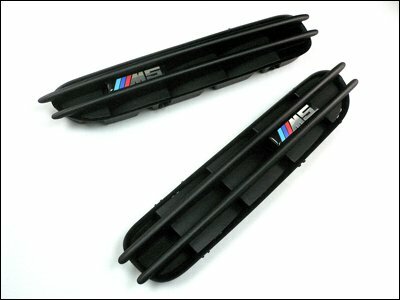 If you're getting the M5 fenders, I assume you're getting M5 front too? Btw, I'm not sure about running 5mm spacers in the front. I tried that, and the vibration in the steering wheel is just too much for me. 5mm spacers are not hubcentric, so they will introduce vibrations. I ended up using 15mm spacers in the front and switching the 5mm spacers to the rear. Vibrations are gone. I have a question, your front wheels are 20x9 ET35? Are you serious? And there's little space left between the tire and the fender? I have KW v2 with 18x8 ET20 front wheels, and the front tires are rubbing the springs. If you don't mind me asking, what size tires do you have? Yea replacing front bumper and fenders with OEM M5 parts. What im going to to probably do is wait till I get the M5 front end on the car, as the fenders are wider then the stock ones so I might move my rear 15mm spacer up front and then buy a 20mm spacer for the rear. Current tire size is 225/30/20 on the front but Im going to switch to 245/30/20 all around as they are just too small IMO. I saw this on Motoring Underground! Your build is coming along very nicely!! !